Drilex offers a full line of quality and reliable power section sizes. The power section is the part of a downhole motor or other tool that converts hydraulic energy from the operating fluid into mechanical rotational energy. The power section consist of two parts, the rotor and the stator. The rotor is comprised of either a high carbon alloy or a stainless steel bar and is machined with a helical (multi-lobe) pattern. The rotor can be coated to reduce wear and corrosion. The stator is a length of tubular steel that is lined with an elastomer (rubber) compound. 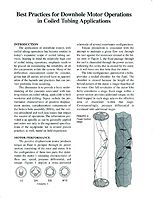 The elastomer is formed with a helical (multi-lobe) pattern similar to that of the rotor. The difference between the stator and the rotor is that the stator always has one more lobe than the rotor. For this reason, the ratio of rotor lobes (X) to the stator lobes (X+1) is designated as (X):(X+1). For example: 3:4, 5:6, 7:8, and 9:10. For more information about the Drilex rotors and stators, please click on the Features and Advantages tab. Specification sheets for each power section configuration is available through the menu on the right. To view the specification sheets, you must have the ability to view PDF files. For custom designed power sections or power section configurations that are not listed, please contact your nearest Drilex Representative. Drilex is pioneering the advancement in power section design, specifically for the thru-tubing and workover industry. No manufacturer of positive displacement power sections can match Drilex in experience or commitment to small power section technology. By specifying a Drilex power section in your thru-tubing or workover motor, you will receive more than the advantage of superior power; you benefit from our years of experience and know-how. Just as Drilex technology played a leading role in the advances of the past decade, our commitment to thru-tubing and workover applications will make possible new vistas of increased efficiency and performance in your operations in the decades ahead and beyond. 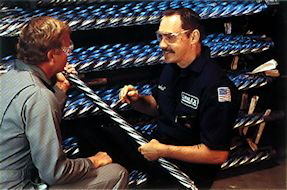 Drilex offers the ability to make custom power sections for special or unique applications. Customized power sections are a hallmark of Drilex where customers have sought a better solution than settling for what is on the shelf. Please contact a Drilex Representative to learn more about how a custom power section can be engineered for your application.